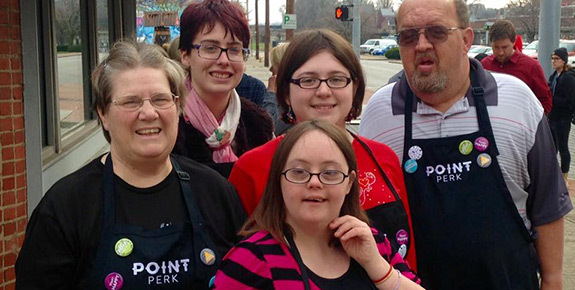 The Point/Arc of Covington, KY – their mission is to provide opportunities to people with intellectual and developmental disabilities to reach their highest potential. The Point has trained thousands for jobs in restaurants, laundries and cleaning services. Fire Mountain Programs – their mission is to inspire kids, teens, adults and whole families to live full lives of passion, presence and power by awakening confidence and leadership. Case for Caring – this program of the Calliope Foundation provides unique, fun pillowcases for pediatric oncology patients. Point Perk is The Point/Arc’s newest social enterprise that opened in December 2015. Point Perk employs 5 individuals and serves as a place for the community to come get their feel good cup of coffee and to see our mission in action. The Calliope Foundation was originally founded to raise money for training individuals whose early life or situation has prevented them from gaining the education or skills necessary to lead productive lives. In response to the support need for hospitalized children, the Calliope Foundation initiated its own project, Case for Caring, in 2012. 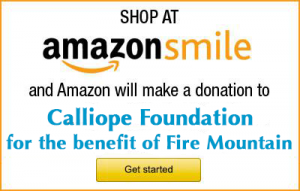 Calliope Foundation is a 501(c)(3) Not-for-profit organization. Qualified contributions to Calliope Foundation may be deductible for income tax purposes.